Data of the Central Statistical Bureau of Latvia show that in the 2nd quarter of 2018, compared to the 2nd quarter of 2017, the average monthly gross wages and salaries grew by 8.4% or 78 euros, reaching 1004 euros for full-time work. The growth rate registered in the 1st quarter of the year was faster – 8.6%. Compared to the 1st quarter, in the 2nd quarter of 2018 gross wages and salaries increased by 4.6% or 44 euros. Annual rise of earnings was almost equal in both sectors – 8.4% and 8.5%, respectively. The average gross wages and salaries constituted 991 euros in private sector and 1035 euros in public sector, while in general government sector, which includes central and local government institutions, as well as enterprises controlled and financed by the central and local government, the average wages and salaries rose to 984 euros or by 9.2%. In the 2nd quarter of 2018, the average net wages and salaries (calculated based on the labour taxes applicable at workplace) constituted 743 euros. Compared to the previous quarter, net wages and salaries went up by 4.4%. Over the year, the earnings increased by 10.0%, showing 1.6 percentage points higher rise than that of wages and salaries before taxes. 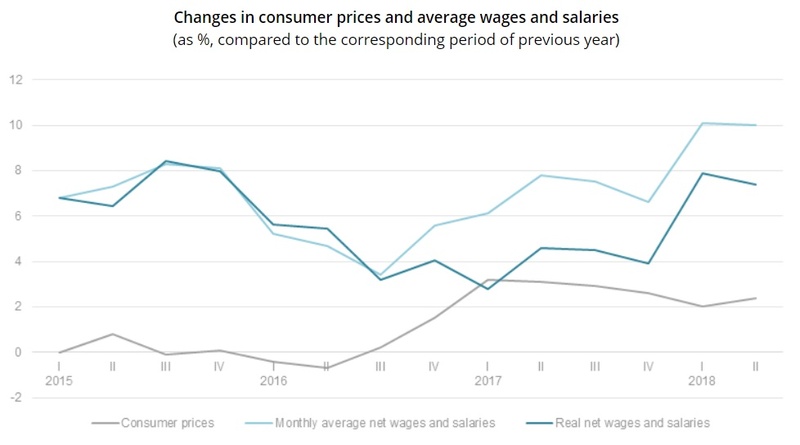 Considering annual consumer price growth of 2.4%, the real increase in net wages and salaries comprised 7.4%. Changes in the average wages and salaries are influenced not only by the rise of employee remuneration, but also structural changes on the labour market – enterprises that had started and stopped their business during the year, changes in the number of employees and workloads in various economic sectors, as well as state administrative measures in the fight against the shadow economy. The effects caused by the mentioned factors in general may be seen in the changes in the wage and salary fund and number of full-time employees, which are used in the average wage calculations. In the 2nd quarter of 2018, compared to the 2nd quarter of 2017, gross wage and salary fund increased by 9.1% or 188.5 mln euros, while the number of salaried workers, recalculated into full-time units, grew only by 0.6% or 4.4 thousand. In the 2nd quarter of the year, the sharpest rise in wages and salaries was recorded in human health and social work activities (of 15.2%, with faster growth in human health activities), mining and quarrying (13.3%), accommodation and food service activities (11.7%, with the sharper rise in catering), agriculture, forestry and fishing (10.9%, with faster growth in crop and animal production, hunting and related service activities, as well as forestry and logging), other service activities (10.5%, with sharper rise in washing and (dry-)cleaning; hairdressing and other beauty treatment; funeral and related activities; and other personal service activities), and manufacturing (10.0%). 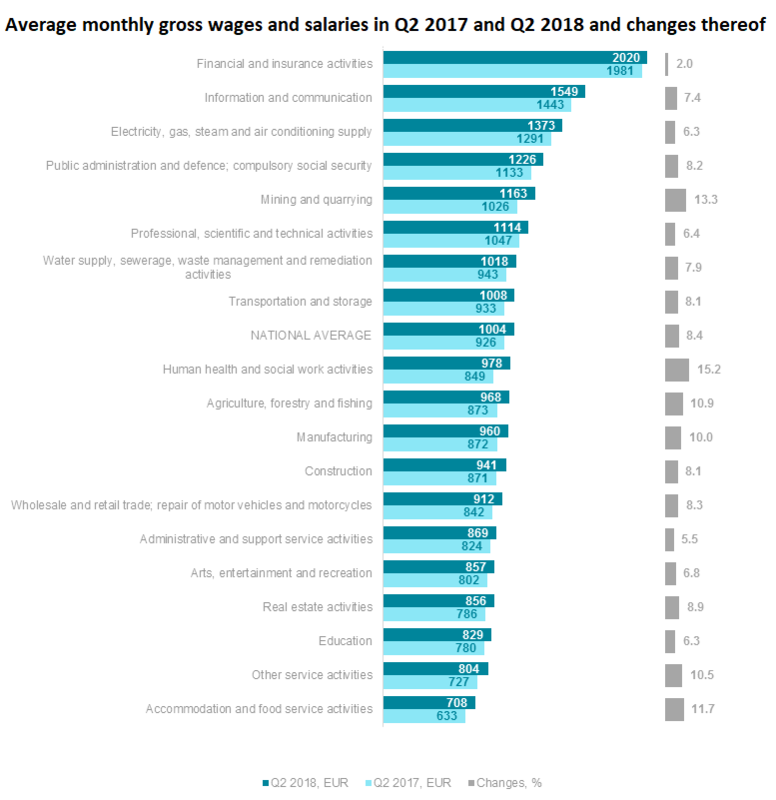 In the 2nd quarter of 2018, the highest average wages and salaries for full-time work were registered in financial and insurance activities, information and communication, energy, public administration, mining and quarrying, professional, scientific and technical activities, water supply; sewerage, waste management and remediation activities, as well as transportation and storage. In other sectors, the average wages and salaries before taxes were below the national average. The lowest wages and salaries, in turn, were observed in accommodation and food service activities, other service activities (that include activities of public and other organisations, repair of computers and personal and household goods, washing and (dry-)cleaning, hairdressing and other beauty treatment, funeral and related activities), education, real estate activities, as well as arts, entertainment and recreation. 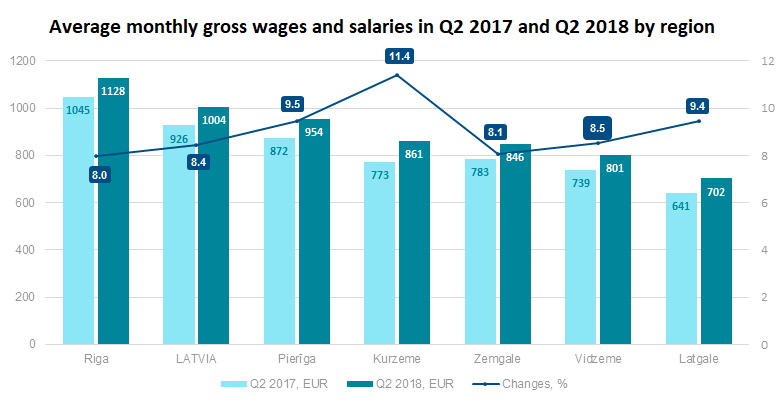 Compared to the 2nd quarter of 2017, in the 2nd quarter of 2018 regional breakdown shows the sharpest rise in the average monthly gross wages and salaries in Kurzeme (of 11.4%), Pierīga (9.5%), and Latgale region (9.4%). The annual rise in Riga, having the highest wages and salaries (1128 euros), was the smallest among regions. Smaller increase was registered also in Zemgale (8.1% annually) and Vidzeme regions (8.5%). The lowest average gross wages and salaries for full-time work still were observed in Latgale region – 702 euros, constituting 70% of the national average. In the Baltic states, the highest monthly average gross wages and salaries in the 2nd quarter of 2018 were recorded in Estonia – 1321 euros, followed by Latvia with 1004 euros and Lithuania with 927 euros. 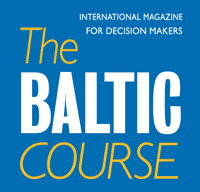 Compared to the 2nd quarter of the previous year, the average wages and salaries have increased in all Baltic states. 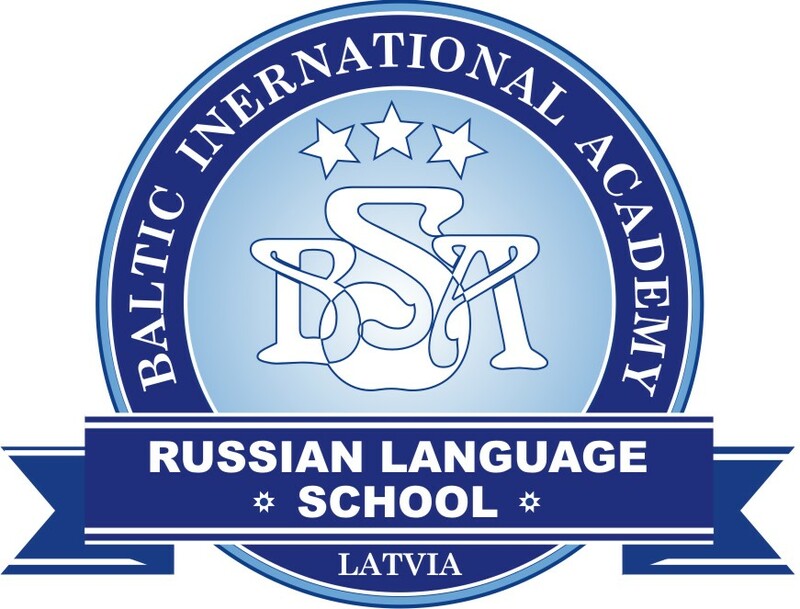 The sharpest rise was recorded in Lithuania (of 10.5%), followed by Latvia (8.4%) and Estonia (6.4%).